Whether you spell it gray or grey, it’s a mix between black and white, so by definition gray is a neutral. Gray comes in many variations from light dove to dark charcoal. It’s effortless to style with gray because all colors go with it, making it easy to create several outfit combinations. Image: Wikipedia. Fabrics: 1, 2, 3, 4, 5, and 6. More gray inspiration can be found on Pinterest boards dedicated to the love of gray, see here, here, and here. 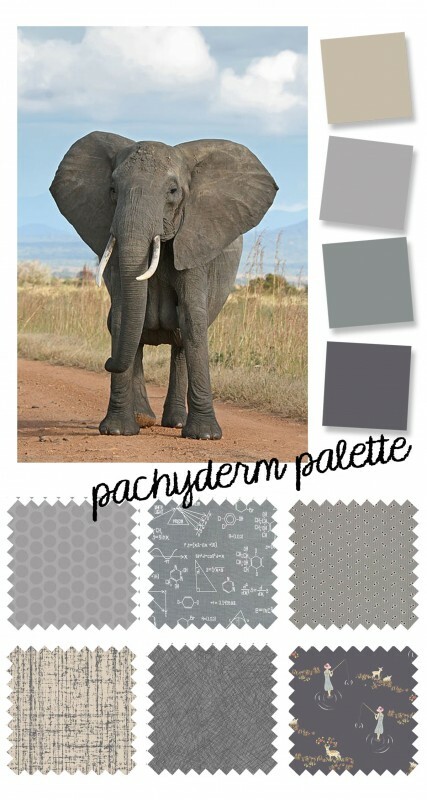 Do you use gray as a neutral in your wardrobe? Do you use it in your sewing? Elephants know what they’re doing! Really enjoying your posts about palettes!